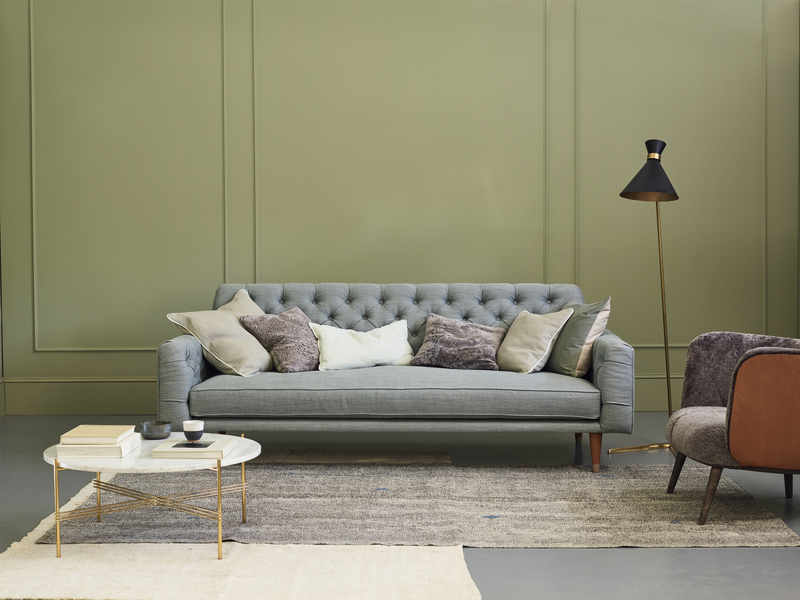 You might fall in love with the sleek contemporary lines of your new fantasy sofa, but if you like to snuggle up in the corner, or swing your legs over the arm of your current sofa, this might not be the best option. Be realistic about what you want, you cant change your family to suit your sofa! You will have an idea of how many people you need to seat, think about how you each sit, curled up lying down or up straight, a corner chaise is a good way to keep everyone happy. Consider the internal seating between the sofa arms. Wide arms will take up space in a smaller room so look at designs with a narrow arm if this is a concern. If your family have very different requirements, a chaise corner has the option to lounge or sit in a more structured way. If you have the space and are considering 2 sofas, don't look at a matching pair, look at 2 different designs even if they are contrasting textures. Your room will feel more relaxed and help you please more people! When planning your space, try to fill it. Even a small space will feel bigger with a few large items but lots of small pieces will feel cluttered and floor space will feel sparse and un-loved. If your space is large, keep furniture away from the wall and focus on the journey through the space, creating moments as you explore. Once you have decided on your configuration and product size the fabric should be the fun bit. If you are looking at 2 sofas, consider 2 fabrics, it will make your space feel evolved. If you like light colours but fear your pets and family will not respect your choice, look at stain resistant fabrics. A smaller space will feel bigger if you keep the sofa fabrics a shade close to your wall colour, even a dark wall with a dark sofa will look dramatic in a small space, creating a palette for bright cushions and accessories. The exciting part of buying a new sofa is choosing the scatter cushions! There are so many options but there are a few rules. Always work with odd numbers, a variety of sizes will feel more natural. Contrasting colours are fun, but if you don’t feel confident with bright colours, stick with tones of colour but go wild with the textures.